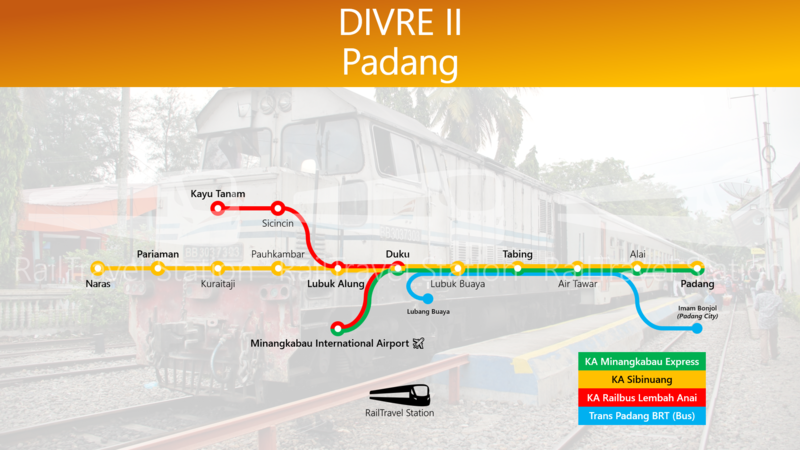 The West Sumatra Regional Division II (Indonesian: Divisi Regional II Sumatera Barat), abbreviated as Divre II, is a regional division of PT Kereta Api Indonesia (PT KAI) which operates trains throughout the province of West Sumatra, with the main operations centralized at Padang. NOTE: The Trans Padang BRT is included as an option to get into Kota Padang from Tabing Railway Station or Air Tawar Halt. The Trans Padang BRT is NOT part of the PT KAI network. Tickets are open for sale 7 days before departure only. 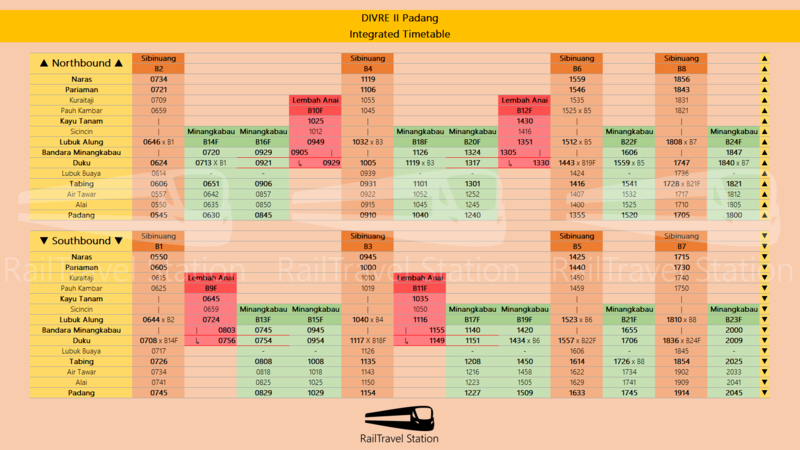 How do I book Divre II tickets online? You cannot book Divre II tickets online.